Robert McMahon has covered foreign affairs since 1990 for the Associated Press, Radio Free Europe/Radio Liberty, and CFR.org. As Managing Editor, Mr. McMahon oversees publishing of daily news-related content on the website, supervising an editorial team that produces Backgrounders, interviews, long-form interactives, CFR Events, and other multimedia content. He coordinates with CFR Fellows to produce web-only publications. Mr. McMahon also contributes analysis and background reporting to the website and with Director of Studies James Lindsay co-hosts the weekly podcast series, "The World Next Week." Under his guidance, the CFR.org website has garnered multiple media citations, including Emmy, Overseas Press Club, Society of Professional Journalists, Webby, and Online News Association awards. Prior to joining CFR.org, Mr. McMahon held senior editorial positions at Radio Free Europe/Radio Liberty, including news director in Prague, Czech Republic, where he was founding editor of RFE/RL’s website, and UN correspondent. He has written extensively on democracy promotion, public diplomacy, human rights, UN peacekeeping, and issues related to nation-building. He is a contributing writer to the Foreign Service Journal. 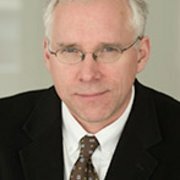 Mr. McMahon has an MA in international relations from Tufts University's Fletcher School of Law and Diplomacy. King Abdullah’s succession plan for Saudi Arabia’s aging leadership may be his most important legacy at a time of multiple crises in the Middle East, says expert Rachel Bronson. Any comprehensive deal on Iran’s nuclear program would require intrusive international inspections. Expert Christopher Bidwell surveys the technical and political challenges. The downing of a Malaysian passenger jet over eastern Ukraine requires an international inquiry as well as ongoing pressure to stop arming separatists in the region, says expert Steven Pifer. The 1944 Bretton Woods conference ensured a leading role for Washington in the global financial system but also contributed to present-day problems that will be difficult to fix, says CFR’s Benn Steil. The history of frozen conflicts in some of Russia’s neighboring areas signals trouble for Ukraine’s efforts to reintegrate its secessionist regions, says expert Charles E. King.